The city of Naantali (link)at the south-west coast is the fourth oldest city in Finland. Naantali was founded around the mediaeval Brigittine convent Vallis gratiae, the church which still dominates town’s skyline. The charter was signed by King Christopher of Sweden, the then ruler of Finland, in 1443. The convent got trading rights and other privileges, and the town around it began to grow. It also became an important destination for pilgrimage. In the 16th century, as Catholicism gave way to Protestantism as the official religion of Finland, the convent was closed, and the town plunged into a depression. The year 1863 saw the founding of the spa at Cape Kalevanniemi, which raised the town's status as a holiday venue. In 1922, the Kultaranta estate on Luonnonmaa Island was made the officla summer residence for the President of the Republic of Finland. In Naantali there are one million traveling days and 600.000 visitors per year. There are many important points of interest in the city; the biggest is the Moomin World theme park on the island of Kailo. Also the old town and the church together form a unique and idyllic area which tempts visitors all around the world. Approximately 20 % of visitors come from abroad. In addition to Moomins, the Naantali Spa Hotel, the largest spa in the Nordic countries, is also one of the main attractions. 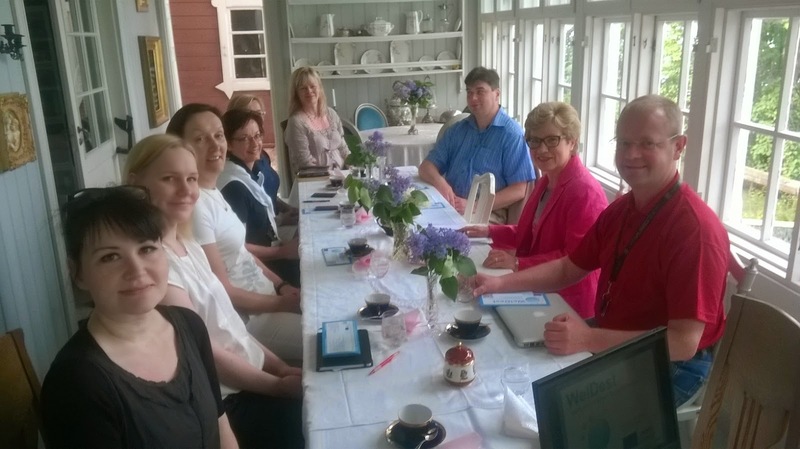 The Finnish camp took place on Thursday 5th June at Villa Randala, a charming old villa by the sea in Naantali. 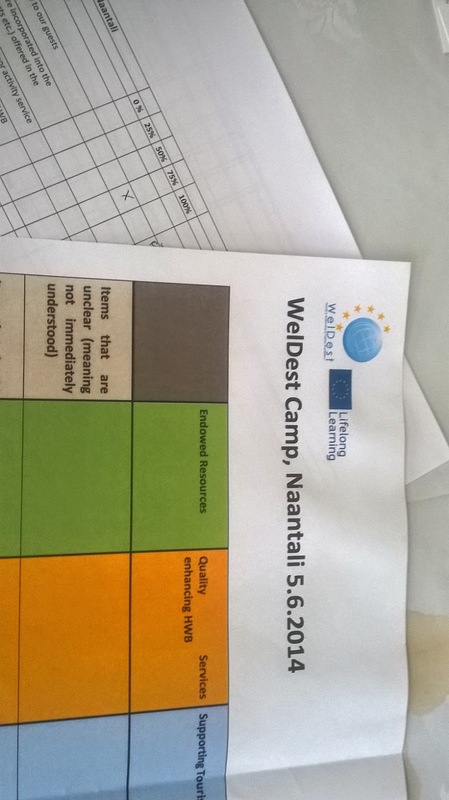 In total ten stakeholders accepted the invitation to come and pilot the self-assessment tool for WelDest. In addition to our industry partners we had other stakeholders as such the representative of Naantali Spa, the head of Naantali Tour Guide’s association, The Head of International Business Development Services / Center of Economic Development, Transport and Environment of Finland Proper, and two representatives of the City of Naantali and the owner of Villa Randala. The camp was able to identify several strengths from well-being point of view e.g. the long history as a spa destination, diversified offer of treatments (especially pampering and relaxation treatments), nature, outdoor activities, serenity of the area, the life styles of the old wooden city and the archipelago area, and the role of Naantali Tourism Ltd as the coordinating body. The strategy of Naantali Tourism has already identified wellness customers as one core segment and e.g. development is initiated based on customer feedback. The development points discussed were e.g. the need to productize overall well-being (body, mind and soul) packages and the personal information services for health and well-being. Also locality and local traditions could be highlighted even more.